Every small business strives to be productive, which is essentially driven by the level of efficiency and organization of all the work within the firm. Still, most of small business owners and entrepreneurs often struggle with balancing tons of responsibilities at once and at some point they reach the point of burnout. There’s nothing sustainable nor effective about operating that way. But sometimes this hectic state of running the business has more to do with the lack of proper organization, rather than with the amount of business. After all, you have the same number of hours as Bill Gates and Beyonce, you just have to ponder over how are you really using them. To get the most out of them and still manage to retain balance, it’s an imperative to pinpoint strategies and tools that will help you achieve maximum efficiency and avoid failing at maintaining all segments of the business. Here are some ways to become more productive and efficient and keep a healthy lifestyle. 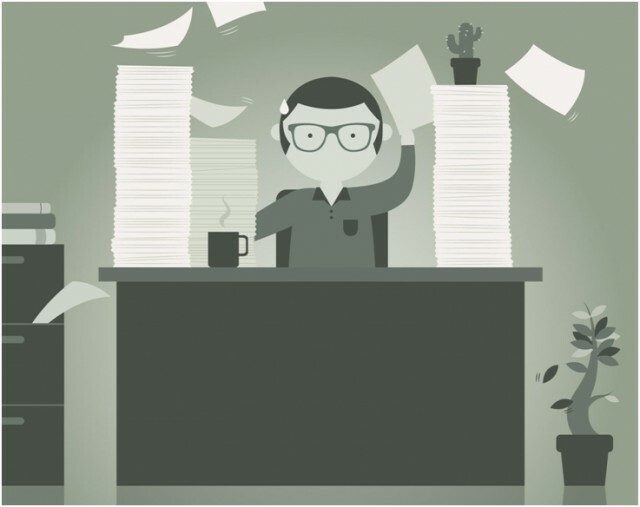 If you state that you’re overloaded, yet you can’t list all the things you’re working on, it leaves an impression that you’re a mess, rather than the expert in demand. Stop for a second and put a little thought into your daily schedule. Planning ahead and strategizing will put you in control of your assignments like a time management pro. When you start planning your schedule, think of it as of an investment that will make a difference in how much you have accomplished to move closer toward achieving your business goals. Luckily technology is there to support almost everything, including planning and organizing, so take advantage of it and invest in planning apps. There are at least 17 million of them, but to save you some time here’s a narrowed list to choose from. Moving on to the next level of organization. If you run a team of people it’s almost impossible to do it without project management (especially if your team consists of outsourcers). Besides working towards the same goal, at the heart of every successful teamwork is a clear communication. This means that everyone on the team know exactly when and what they should do while being aware of how they correlate with the progress of their colleagues. By investing in what PM platforms have to offer, you ensure to stay on top of it all and that communication with your team members runs smoothly. At times, when you get caught up in all the work, you may forget to remind a customer of that payment overdue or to send an invoice. Having an accounting or invoice software advances your business organization and makes it easier for you to keep an eye on your current and past due invoices and overall cash flow. Being constantly surrounded by technology, bombarded by notifications and stimuli, gets in the way of “being in the moment”. 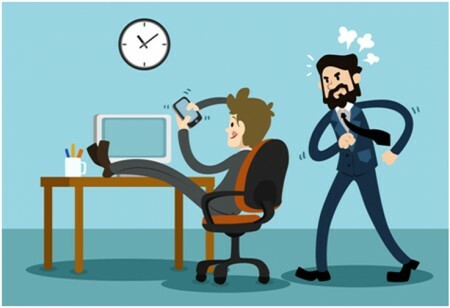 By making us less efficient, this constant multitasking and being somewhat stressed and technology addicted is slowly getting in the way of work and healthy lifestyle. When working on an important project, (unless your job is to post on social media) turn off notifications and if your profession allows it, even your phone. Define certain intervals throughout the day to check them. It’s your work that requires full concentration, not your social media comments, likes, and replies! Besides learning how to disconnect from digital distractions, learn how to take the time to yourself. Time to reset, clear your mind, concentrate, create action plans and get organized. Whether you meditate, exercise or read, “your time” is an effective and healthy habit. Some of the world’s most successful CEOs start their days just like that, instead of getting down to business right away. Sometimes when we find our tasks dull or tough to do, we’re easily distracted with other things that entertain us, such as surfing the web, checking smartphones or watching TV. But the work is still there, waiting and piling around you. Luckily, there are solutions for avoiding procrastination. Like for example when you segment your work with Pomodoro technique or use that trick with delaying gratification where you reward yourself a little every time you complete a goal. With rewards you reinforce yourself to accomplish tasks you would otherwise avoid. And it can be anything, from taking a 20-minute walk to eating a small chocolate chip muffin, just make the best of it.